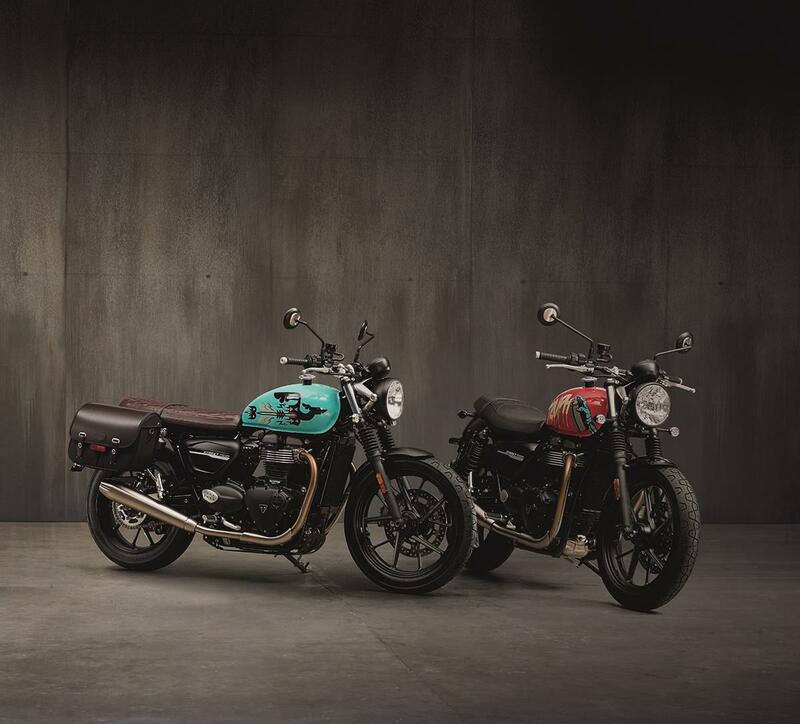 Forget your Bonnevilles, Thruxtons and Bobbers, the Street Twin is actually Triumph’s biggest selling individual model in their modern classic range – and after the raft of updates they’ve just foisted upon it, we’d expect those sales to accelerate again. The standard Street Twin benefit from a rather decent hike in performance for 2019. The lack of thumping gusto from the 900cc parallel twin was one of the primary complaints from those tempted over to the Street range, while new riders or those looking for a more genteel plodder have flocked to it in their droves. But the breathed-on twin gets a healthy 18% poke in the pistons, which is almost 10bhp on top of its existing 54, while the torque remains at 59ftlb. The engine will now spin a little higher before bumping into the limiter too, with 500rpm more to play with (taking it to 7500rpm), giving a little extra flexibility between gears. The engine also gets dressed up with a magnesium cam cover, while the clutch and clutch cover have shaved some mass off, along with a new lighter crankshaft, dead shafts and balance shafts. There’s more control for the duo, too. The Street Twin gets new Brembo 4-piston calipers for added bite and power, and a higher calibre of cartridge fork for improved composure from the front end. Hardware aside, there are new Road and Rain riding modes to give riders a little more assistance at the throttle when the going gets changeable, and even a tyre pressure monitoring system as an optional extra. Switchable traction control is standard fare, and ABS is also standard, with the additional ’torque assist’ clutch that results in a lighter lever, but with more positive feel. The Street also gets new multi-spoke cast aluminium wheels with machined faces, new seat materials and a thicker seat pad for improved bum-comfort, more classy finishes on the clocks, brushed ally headlight brackets and detailing and a pleasantly subdued paintjob. The Street gets two inspiration kits, as well as over 140 official accessories. The Urban Ride strips everything back with a brown seat, black sump plate, fender removal kit, black filler capo and intake covers, and a waxed cotton pannier and LED indicators. The Café Custom kit, gets Fox rear suspension, Vance & Hines silencers, rear fender removal kit, black covers and LED indicators. See this bike debut in the UK at Motorcycle Live from 17-25 November at The NEC.